Shaking Off Sorcery - Happy Holidays! Comic 11 - Happy Holidays! 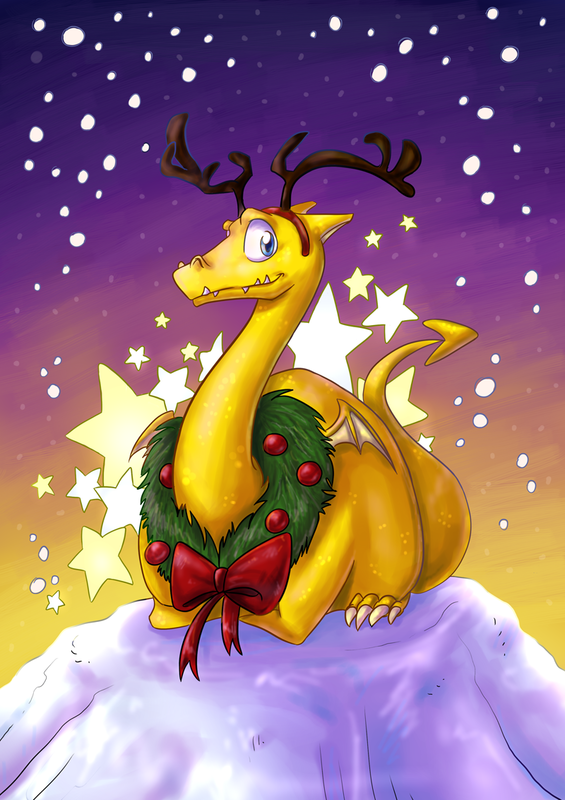 Best holiday wishes from Nauvo and the authors (Tygon decided that a dragon with reindeer antlers was way too dumb and he didn't want to have anything to do with it, so no wishes from him). May this holiday season be especially magical for you! That's brilliant! Haha. Merry Christmas SOS crew! Well, there is nothing there that is not confusing; only female reindeer have antlers in Winter. So I am guessing the Dragon does not know that. Or does know that, and doesn't care because it is SO cute. Either way I love the comic.